Two households, both alike in dignity, in fair Verona, where we raise our dead. Romeo - the only heir to the Montague name, a socialite who dreams of making a name for himself as a playwright and the consummate lover; he seems just as famous for his kissing skills as he is infamous for his inability to do much of anything else. Juliet - Capulet heiress, born soldier; in most every way, the precise opposite of Romeo. She's spent her entire life trying to find some way out of her insufferable life as a noblewoman, and so far she's had precious little luck. When a black plague breaks out in the city of Verona, these two feuding families are met with far more trouble than a mere feud, no matter how longstanding and bloody that feud has been. 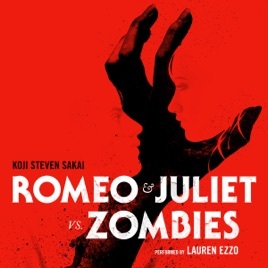 In this grim reimagining of Shakespeare's most famous tragic romance, Romeo and Juliet must form an unlikely alliance if they ever intend to survive being overrun by a horde of ravenous, flesh-seeking un-dead.